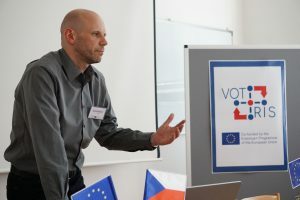 Workshop VOTRIS – Výzkumný ústav živočišné výroby, v.v.i. 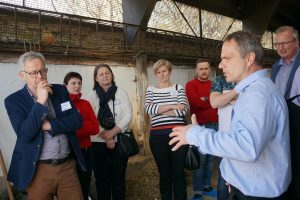 Scientists from National Research Institute of Animal Production (NRIAP) in Poland, Agro Management Tools of Wageningen University and Research Centre (AMT-WUR) in the Netherlands, Lithuanian University of Health Science (LUHS) in Lithuania and Agricultural Institute Stara Zagora in Bulgaria visited the Institute of Animal Science in Prague from 10 to 12 April 2018 withinthe project “Transfer of good practises within vocational trainings in scientific institutions of agricultural sector” of the programme Erasmus+. 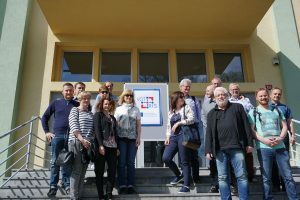 The main objective of the project is building the network for better cooperation of project partners, transfer of good practises and know-how in the field of educational services.